Add the lemon juice, apple juice ,pomegranate juice and egg white, into a boston glass. Fill the boston glass 3/4 with cubed ice and shake for a further 10 seconds. 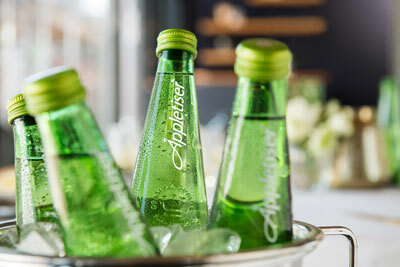 Gently pour Appletiser down the side of the glass to ensure there is a good separation of foam. Stir thoroughly for approximately 30 seconds until well mixed. 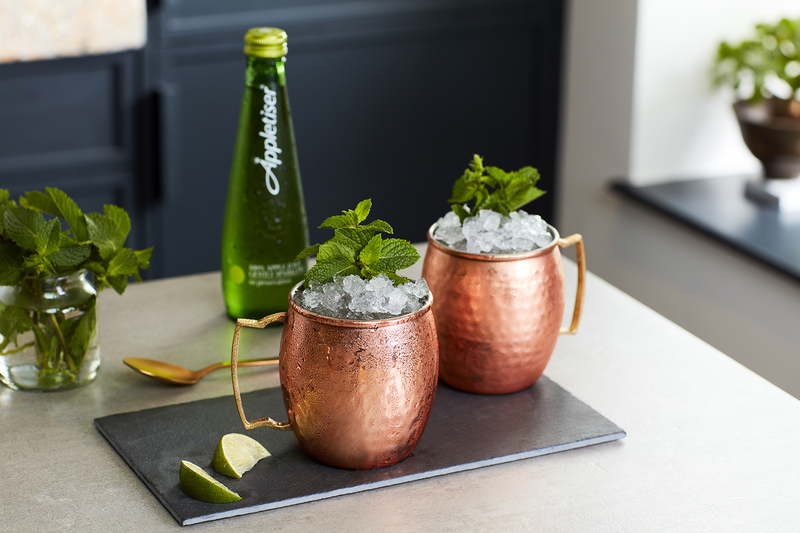 In a Boston glass gently muddle the mint leaves with the honey syrup and lime juice. Fill the glass 3/4 with cubed ice. 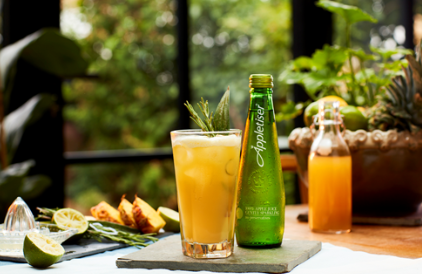 Top up with the 150ml Appletiser.